YogaGlo recently co-sponsored one of our cycling teams in Boulder, CO with Boulder Cycle Sport. 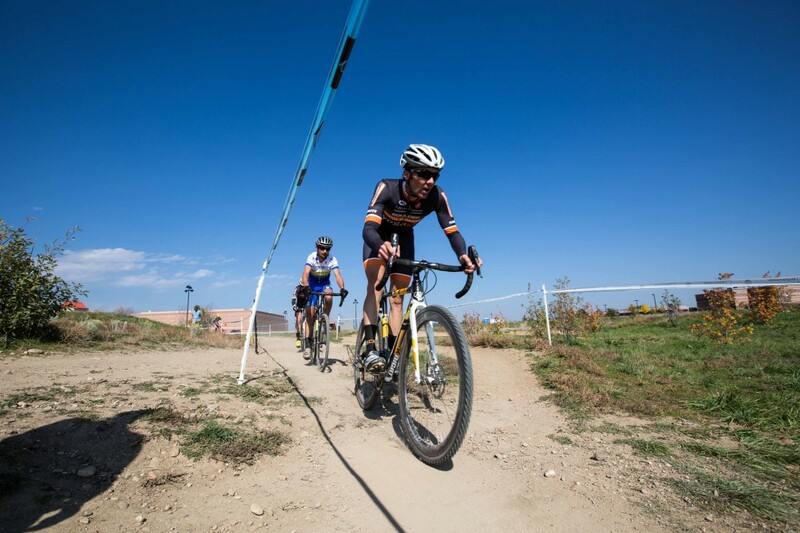 This past Sunday I was talking to Brandon Dwight, one of the team members, about his upcoming Cyclocross race that afternoon just outside of Boulder. He mentioned his race the previous day had not gone well as he was having back and shoulder issues that caused discomfort and prevented him from producing power on the bike. As many of you know we are dealing with a swath of destruction from recent storms and floods in our hometown of Boulder, CO. Like much of Boulder, instead of training and recovering, Brandon spent much of his free time this past week repairing a post-flood basement. In the process he tweaked his back and shoulder. 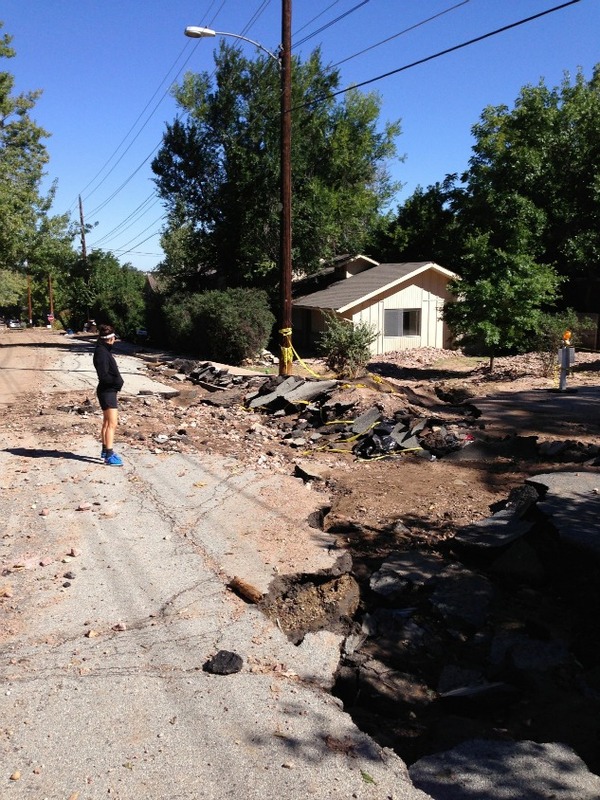 Picture of YogaGlo teacher Amy Ippoliti surveying one of Boulder’s post-flood streets near our home. Racing at age 41 against young elite riders is difficult enough without an injury; thus, any achy joint or setback is not easy to overcome. Part of Brandon’s perk as a team rider is his account with YogaGlo.com. I suggested that he take the Relief for Challenged Shoulders for Cyclists class on YogaGlo’s Yoga for Cyclists center. He took the class two hours before his race along with a hot pack to loosen the area. The class was comprised of gentle shoulder openers to help protect and loosen the joints. Brandon rebounded and finished on the podium in 5th place in the Men’s Open (Pro/elite) field. Although we cannot definitively say the yoga helped him rebound from his poor performance the day before, it certainly didn’t hurt! Brandon Dwight (right) in 5th, with Boulder Cycle Sport/YogaGlo teammates Chris Case (center) in 1st and Pete Webber (left) in 4th. Image courtesy of Chris Case, 2013. This is a great example of how a specific and targeted yoga class can positively affect ‘in season’ performance on the bike. Not all yoga classes for cyclists should be created equal. Some are great for in season recovery with therapeutic benefits whereas others are perfect all around classes for cross-training purposes. Many cyclists are heading into the off-season right now and can use classes that help emphasize the core. 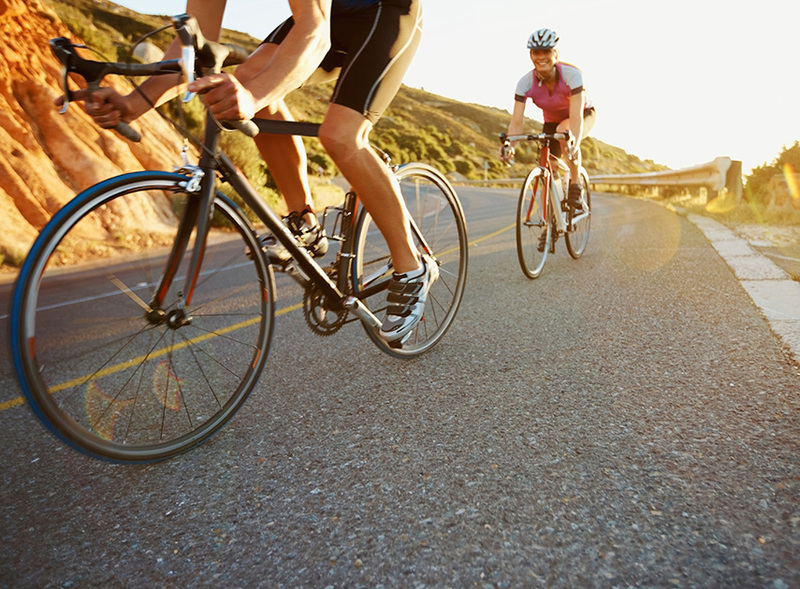 Some racers or riders that use the Fall to race or escape the heat of summer can benefit from classes tailored for post-ride recovery or for specific joints. 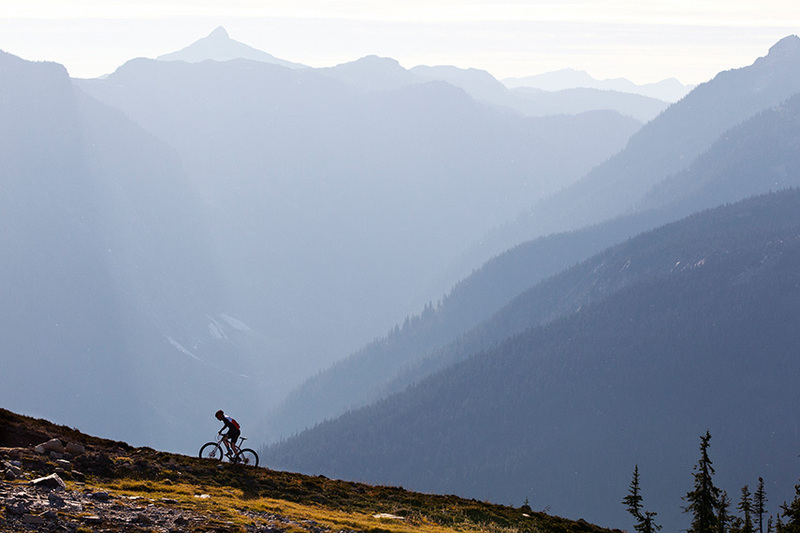 However you map out your riding schedule or what season you may be in, try it with a little yoga woven into the plan! Please leave a comment below on how yoga has helped you out during the season or if you have any questions on how to start using yoga to enhance your rides.